As we say “goodbye” to 2018, I’m reflecting on some of the best (and worst) trends that trickled into our wardrobes and homes. The past year offered some serious design highlights (hello, cheetah and check prints for days!) along with some lowlights (looking at you “dad” sneakers). Overall, there was plenty to celebrate in the design space and I’m looking forward to seeing what 2019 has to offer. I think we’ll continue to see the pendulum swing away from dramatic minimalism towards playful patterns, mixed materials, bold colors and maximalism. Here are five of my favorite New Year design trends. This past year, we got a glimpse of how the sea is making a splash in our style with the puka shell phenomenon. From anklets to earrings and embellishments to accent pieces, both mainstream and luxury brands adopted the aquatic trend. And, the fad is predicted to continue, only being further amplified by the Pantone Color Institute naming Living Coral the “Color of the Year.” A color that represents “playful expression” and our “innate need for optimism,” Living Coral is a “coral hue with a golden undertone.” There are a multitude of ways to bring the pink-red shade into the home: those who want to dive in head first can opt for a striking rug or statement accent chair (both great ways to add color to a closet), while those who prefer to just dip their toe in can achieve the trend with a charming vase or functional wall shelf. Either way, I “sea” this trend as a fun way to add a playful pop! Inject your space with some playful aquatic accessories. 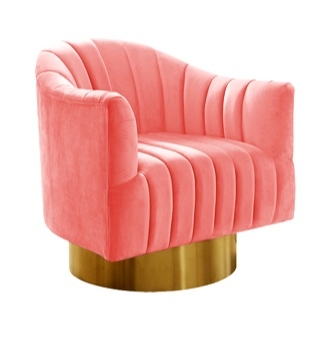 Cozy up to living coral with a colorful accent chair! if you’re loving the color, don’t shy away from a fully saturated look! carrying the color throughout makes for a more modern, monochromatic look! I’ve long been a proponent of having concealed elements in closets if square footage permits. We’ve put scarf racks in pocket doors, hidden hampers in drawers, and created a space for ironing boards to fold up. So, I’m thrilled that hidden storage solutions are expected to be popular in 2019. This trend is actually quite timeless and easy to achieve. A few of my favorite secret storage solutions are placing drawer dividers in the dresser to help organize folded garments, adding acrylic trays to drawers to hide accessories, and incorporating belt and tie racks to streamline access. Don’t worry, your secret is safe with me! a concealed dottling safe room is disguised behind architectural paneling. jewelry and other valuables are kept tidy and protected in fully lined and lockable drawers. We’ve really seen it all when it comes to fixture finishes -- pewter, copper, brass, you name it. In 2019, we can expect metal fixtures to take a back seat allowing matte black to take center stage as the favorite finish. Equally edgy and elegant, matte black balances modern, timeless and industrial sensibilities while offering a fresh way to punctuate a space. Though often considered less versatile than metallic finishes, matte black can work as well with a crisp white space as it can with a muted pastel or vibrant-hued one. 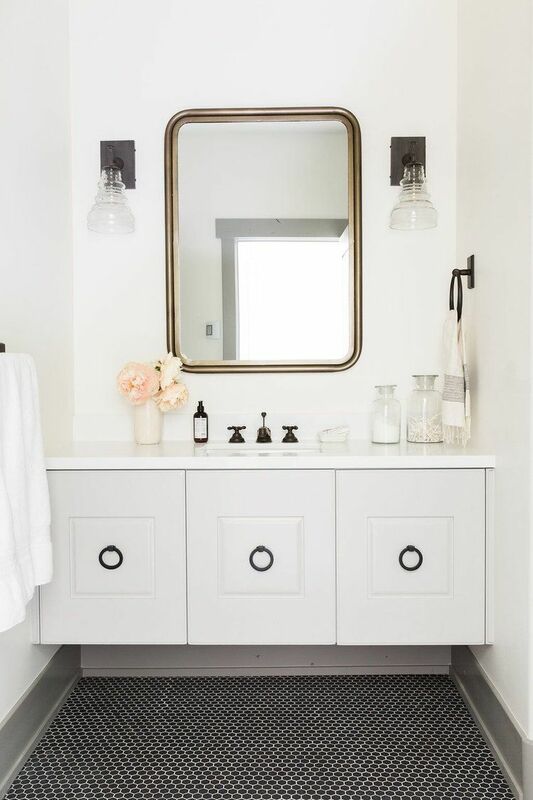 Beyond the bathroom and kitchen, matte black elements -- from floating shelves to hang knobs to mirrors -- are sleek additions to a closet and vanity. In fact, testing out matte black in the closet is a great ways to decide if it’s worth investing in more costly decor like the kitchen faucet. the “so black” birkin just goes to show this trend is being carried through every part of the design world! from fashion to home furnishings, it’s a clean, understated option that works with any style of home. whether you lean more traditional or scandinavian-chic, there’s a matte black option for everyone. Statement light fixtures are predicted to illuminate spaces throughout the home in 2019. I recently shared some of my favorite closet lighting options, many of which will work well in the New Year and beyond. Boho styles like rattan chandeliers are sure to be a fashionable go-to for dining and living areas, while opulent crystal fixtures and geometric pendants will continue shining as closets’ pièce de résistance in many cases. crystal chandeliers and pendants will always have a place in the home, and are the perfect way to elevate a glamorous dressing room. 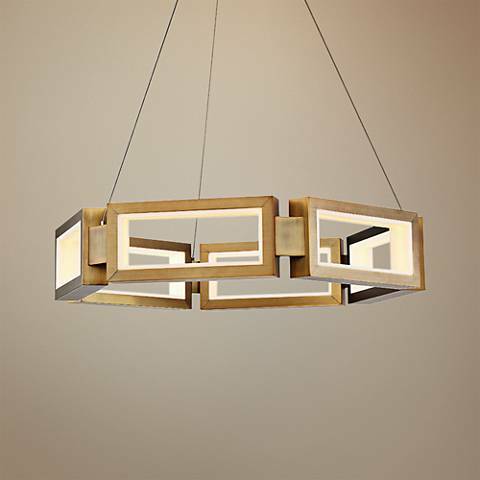 sculptural pendants in mixed metals help to tie together any space, and help to instantly create visual interest! Mark my words: bold wallpaper will be exceptionally striking next year. From fearless florals to vibrant watercolors to animated animals, wallpaper is going to be huge. I’ve incorporated daring wallpaper in past projects like in Whitney Port’s closet, in which we lined one wall with the iconic Martinique banana leaf wallpaper found at the Beverly Hills Hotel. It’s a whimsical way to personalize a space and be a little playful, so a closet is the perfect place to do just that! a creative way to tie together a design - put the pattern on the ceiling! This makes for a more boutique experience in the closet, and is a playful way to add a little personality to your space.